Give us 10 minutes and we'll show you how Goody Blue Shoes will deliver the PERFECT wedding or event! 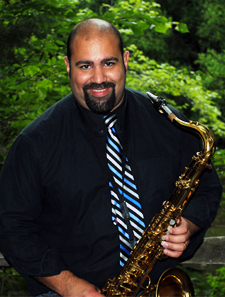 John has been performing party music, jazz, funk, classic R&B, and rock in the Philadelphia and Atlantic City areas for almost 20 years, and knows what it takes to keep your guests engaged and having a blast all night. John has been helping soon-to-be brides and grooms plan their dream weddings for years, and has the experience it takes to make your dreams come true. You can lean on John for tasteful suggestions when you aren’t quite sure what you want, and he’s only a phone call or email away as the big day gets closer. Call John today at 856.236.7200 or email him directly at john@goodyblueshoes.com. He can’t wait to help make your wedding or event the Best. Party. Ever!